If there’s something I couldn’t live without, it’s smoothies and smoothie bowls. I eat them all year round, even when it’s cold outside. When it gets super cold, like -30°C, I usually pair my smoothie with a cup of hot tea or sit in front of a fireplace to warm up. I often think about how silly it looks, wearing a warm hoodie, sitting right in front of a fireplace, and drinking a chocolate ice cream smoothie that is as cold as ice. My husband usually just shakes his head when he sees me. Not only because of my purple lips, but also because he doesn’t consider smoothies to be a food. According to him, anything that is liquid isn’t food. It’s a beverage. Fair enough, but that doesn’t change the fact that smoothies are delicious. I crave that sweet taste, the incredible melt-in-your-mouth consistency, the smooth texture that makes each and every sip truly irresistible . . . I could go on and on. Deep down, I think that my husband feels the same about this chocolate ice cream smoothie. Why else would he ask me to make some for him when he hears me turning the blender on in the morning? I know that smoothies aren’t exactly hard to make, and don’t typically require a recipe, but I wanted to share this one with you because I think it’s special. It’s not special because it’s a particularly ingenious invention on my part, but because it packs a load of greens while still tasting like chocolate. I can stuff as much spinach into this smoothie as I want without affecting the taste. I’ve been relying on this smoothie multiple days a week for some time now and I love it. I think it’s the combination of easy to digest sugars from the berries with a good source of protein from the peanut butter and hemp seeds. Then there’s the soothing smooth texture of bananas, and the creaminess of good quality almond milk — not too sweet to make you crave more sugary things, not too light to make you hungry 10 minutes later… but light enough to fuel you up for a decent amount of time at a relative caloric fraction of similar snacks and smoothies. And of course, the greens. I like using baby spinach because it’s a dark green vegetable with a very delicate texture. As soon as you use hardier dark greens, like kale, the greens are much harder to mask. The spinach also compliments the chocolate flavor of cacao really well so it’s a win-win. 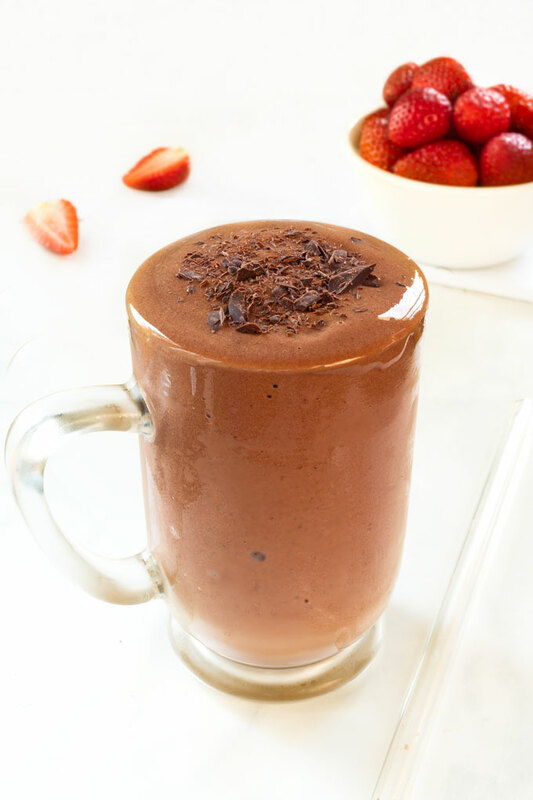 You can easily add more raw cacao powder to make the chocolate flavor in this smoothie even more prominent. But do try the original just once and see if you fall in love with it like I have. While I call this recipe “for two”, there are definitely times I’ve eaten the whole thing faster than anyone has seen me make it. 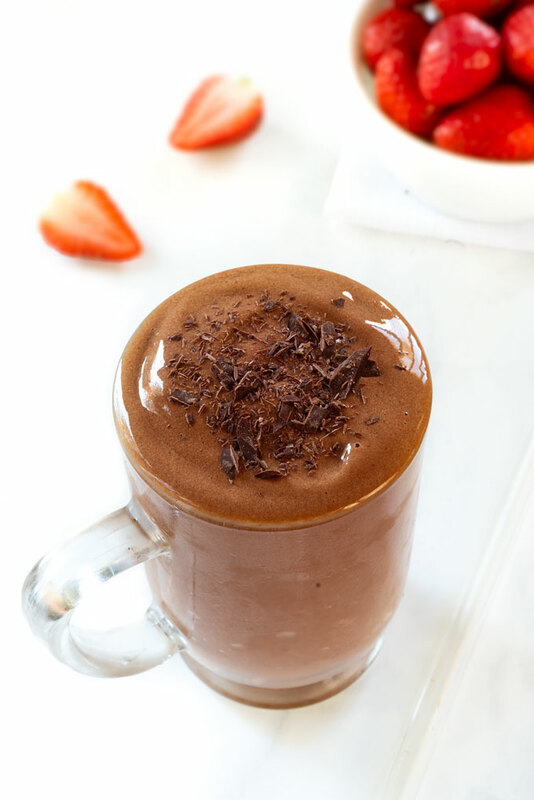 So, the next time you need a quick breakfast or just something to silence your cravings for chocolate, give this chocolate ice cream smoothie a try. 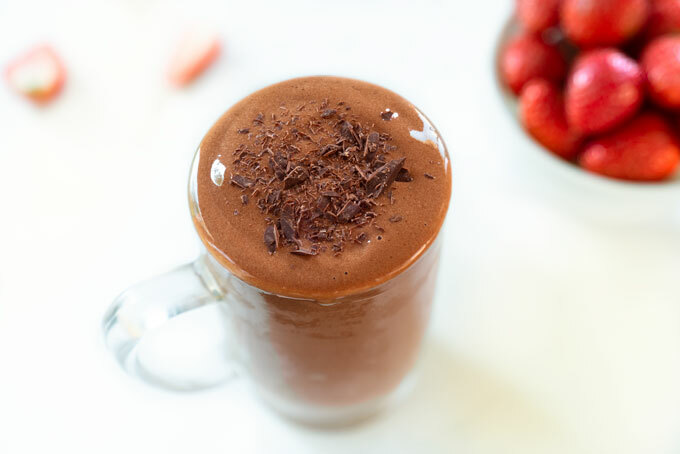 A creamy vegan chocolate ice cream smoothie with a boost of protein, hidden greens, and a rich chocolate flavor. 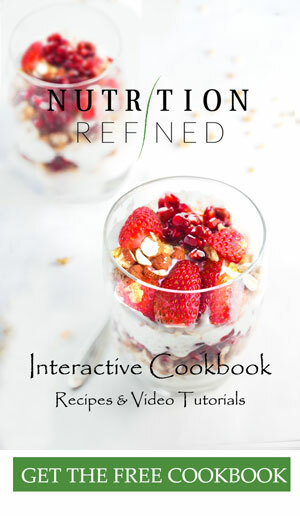 Adjust any ingredient according to your taste and serve immediately. Store leftover smoothie in an airtight container in the refrigerator for 1 day. *Don't forget to peel your bananas before freezing. 1. Slice the bananas into smaller chunks before freezing. 2. Blend the spinach with a little bit of water or almond milk first, before adding any other ingredient into the blender. 3. Swap the hemp seeds for your favorite protein powder. Hi Annie – I have made my own peanut butter a few times. If I buy it in the store, I always buy organic with no ingredients other than peanuts. I am not particular about a brand when it comes to peanut butter.